This is a healthy low carbohydrate, high protein, gluten free Grab-N-Go snack or meal! Boasts 16 grams of protein and 0% carbohydrates. A 1 oz. 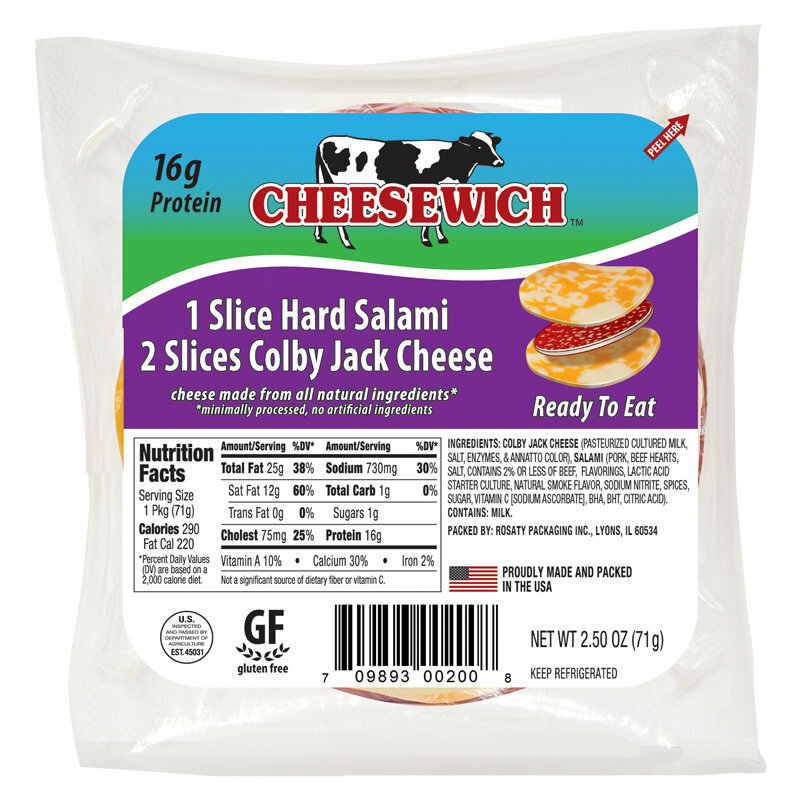 slice of scrumptious smoked hard salami and 2 slices of semi-hard moist and mild swirls of Colby Jack cheese are vacuum packed with freshness and taste. It is a Grab-N-Go energy packed sensation that both adults and children love. 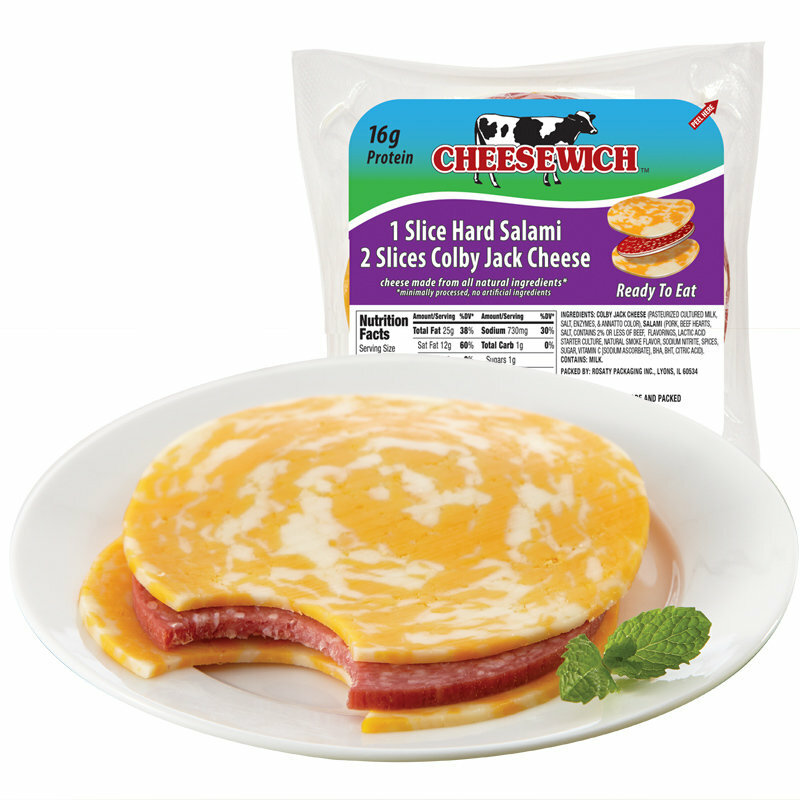 Indeed, Cheesewich products were designed with today’s fast paced health conscious consumer in mind, but tasty enough that you will want to slow down to savor these delicious snacks.